"Given the complexity of our customer base and the products we sell, the EiB solution has simplified our reporting to literally a touch of a button." 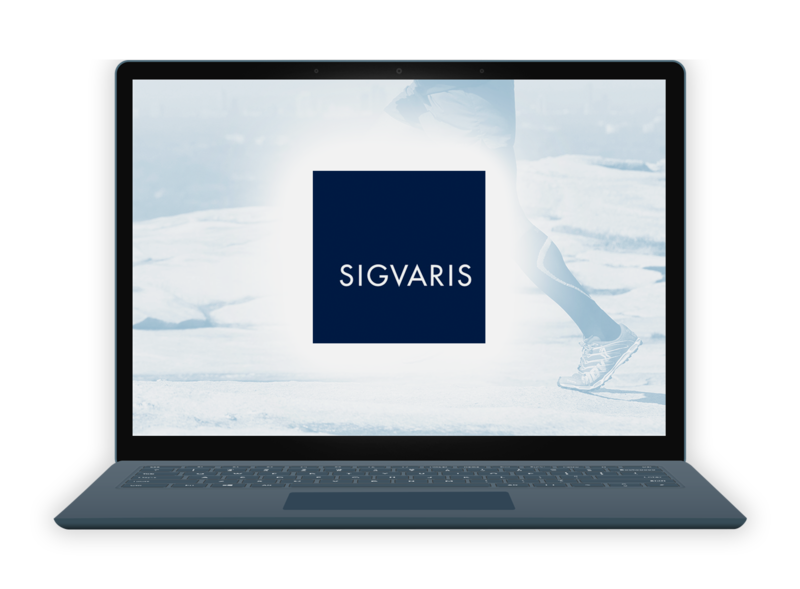 SIGVARIS Britain LTD are part of a global group of companies, privately owned in Switzerland. They distribute their own manufactured medical compression hosiery to the medical industry, supplying the NHS, private hospitals, specialist clinics, hospices, end-user. Their products are available on prescription, so a large part of our sales is to pharmaceutical wholesalers and pharmacies direct. “Standard reporting in Sage 200 just didn’t give us the level of sales reporting that our Business Development Managers needed to truly understand their territories. 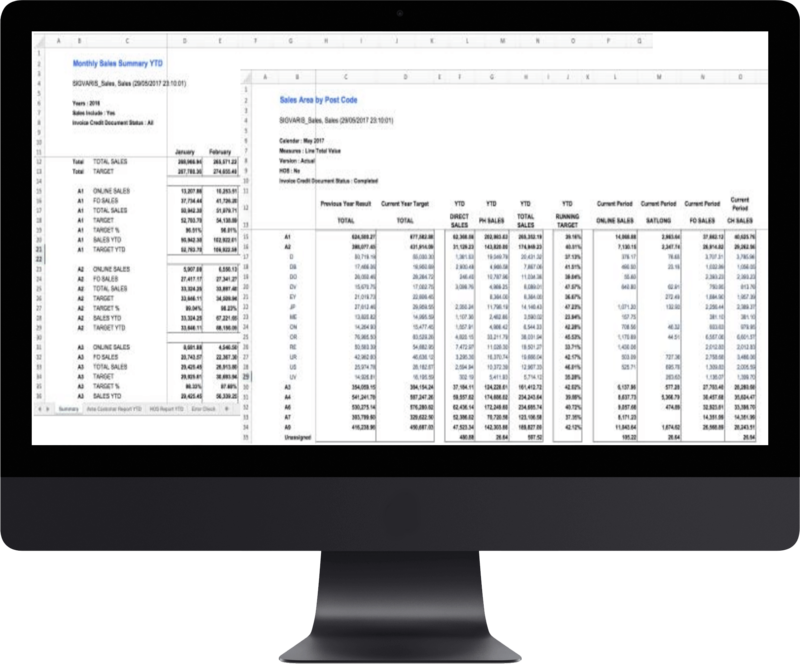 We wanted a depth of detail, reported by various criteria, on a monthly and year to date basis, and the criteria we needed was not able to be used within the standard reporting nor the BI module of Sage 200. “The original mandate for sales reporting has been exceeded in the extreme. 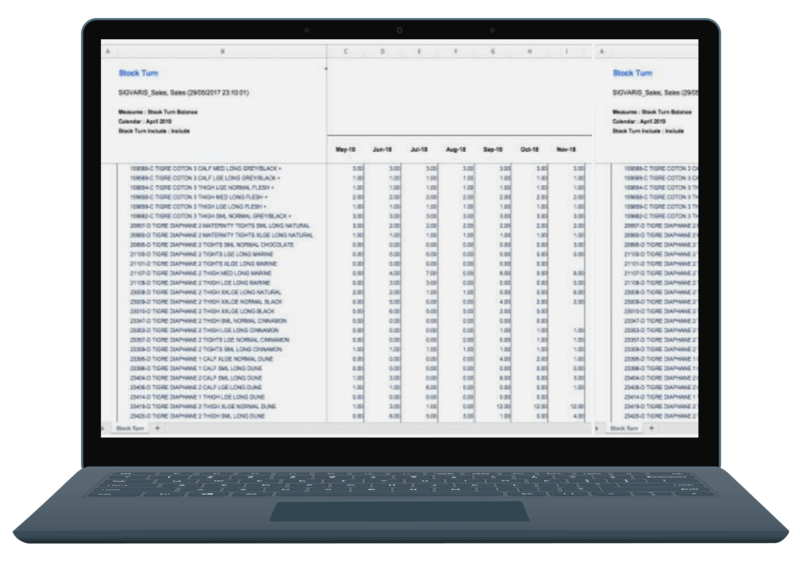 Now we’re not only able to produce the original reports, but the ‘drill-down’ on these reports enables the sales team to analyse their sales, focus on the areas and customers that are not fulfilling their expectations and even check that what they imagine is happening in terms of orders, is true.